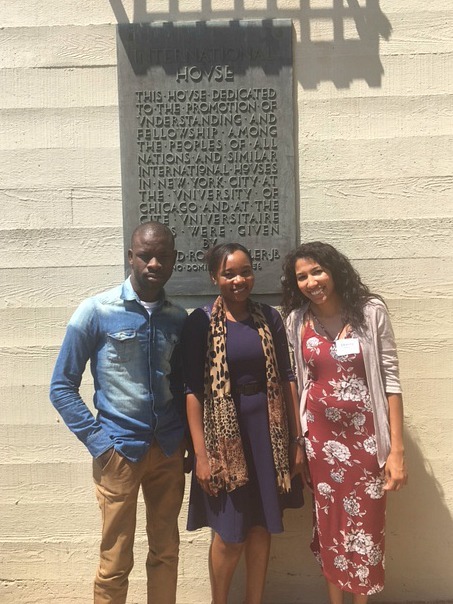 It has been an exciting and educational experience hosting our short-term fellows from the Young African Leaders Initiative (YALI) program another year. 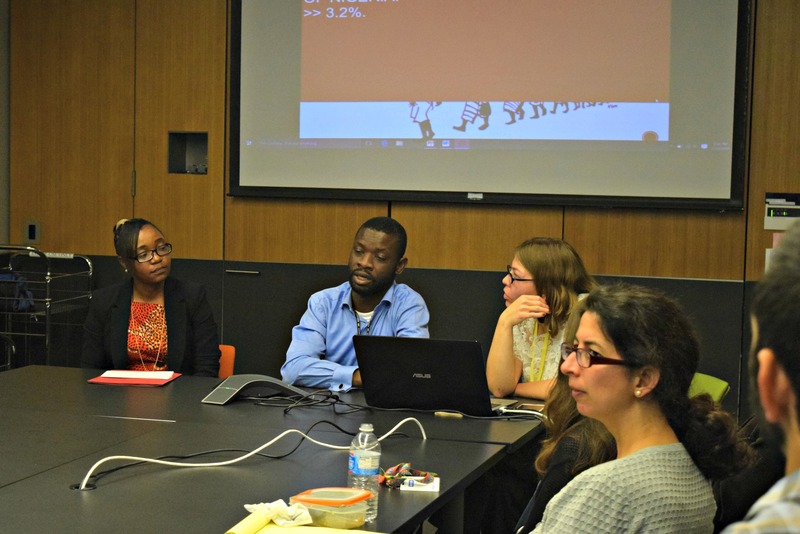 We had two motivated and ambitious fellows who arrived driven to learn about disability inclusion, advocacy and how to change and implement policies to better their organizations and their countries at large. Our fellow from Zimbabwe, Feri Gwata, works in the water and sanitation sector as a Partnerships Officer back home, and she came curious to learn how to bring disability awareness and inclusion to her organization. Our other fellow, Temitope Okupe works with children with disabilities in Nigeria. He was fired up about changing policies and increasing disability empowerment and advocacy. Thank you very much for affording me the opportunity to participate in the YALI Fellowship at the World Institute on Disability (WID). Thanks are also due to Sudha Shetty, Assistant Dean for International Partnerships and Alliances at the Goldman School of Public Policy for facilitating my placement at WID. It has been a great pleasure meeting the dedicated staff at WID and learning about their first-hand experiences with disability through our many insightful discussions. 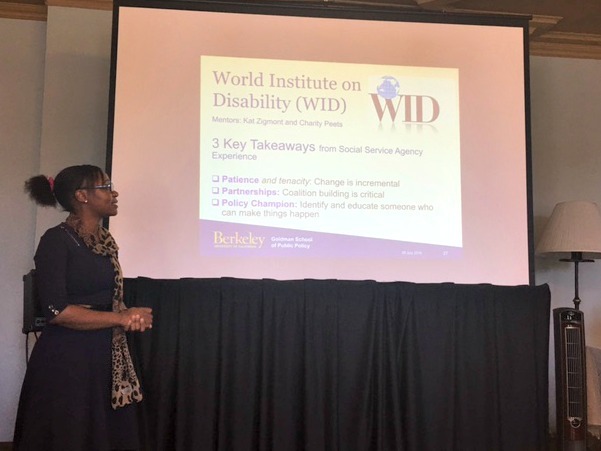 Admittedly, given my professional background in economics and water and sanitation, my understanding of the challenges facing people with disabilities was extremely limited prior to my experience at WID. My narrow view was compounded by the sad reality that disability continues to face extreme stigmatization in Africa, so much so that until my time at WID, I had never met a person with a disability who is employed in a formal work environment. It was interesting to note the inclusive participation of persons with disabilities in day-to-day life here in the U.S., as we got to interact with several other professionals (many with disabilities) from the different organizations housed at the Ed Roberts Campus. Recognizing the importance of achieving universal access to water and sanitation as reiterated in the Sustainable Development Goals, the organization I work for back in my home country (the Institute of Water and Sanitation Development – IWSD) has embarked on a strong drive to mainstream disability in water, sanitation and hygiene (WASH). To that end, I was particularly keen to understand the specific needs of persons with disabilities in accessing WASH services, how to effectively advocate for inclusive WASH in my home country and how best to engage various stakeholders on the issue. Ensuring people with disabilities have physical access is a fundamental starting point in improving their quality of life. While it is undoubtedly important to create employment for people with disabilities and provide in other ways, it is a futile exercise if they do not even have the means to get themselves out of the house or to their places of work. Advocacy: I learned about the critical role of research as a source of evidence in lobbying policy-makers for change. In spite of my professional experience, I had been of the somewhat naïve view that “strong emotions” were a sufficient tool in pushing for change. My host, Kat Zigmont, explained at length the importance of conducting extensive research to inform whatever position I bring to the table. This was very instructive. I also learned that change in the policy framework is incremental, and therefore, while tenacity is critical, it is important to be patient with the process, as it normally takes time (years) to amend or develop policies. Coalition building is critical and in particular, cross-disability coalitions, to foster greater bargaining power with policy-makers. In addition, it is important to offer policy-makers possible solutions to the issue to avoid being viewed as though you are complaining but rather that you are trying to assist them in addressing particular gaps. Identify and educate a policy champion i.e. someone who has the authority to assist you to push your policy changes through. Thank you very much for all your support and guidance during my time at WID. I trust that this is the beginning of a long working relationship. It has been wonderful being here at the World Institute on Disability (WID) for my fellowship. I had a wonderful experience, and also, thank you all for sharing your resources and talent with me during the process of my fellowship. I realize a lot of issues are being addressed on people living with disabilities in different ways. I will be able to highlight some issues I learned during my 4 weeks (once a week fellowship) at WID. The first that I will discuss is the amazing building and the location of the building; to some it’s just a building. To me, it’s a home–a building that brings everyone living with disabilities (us) together as a big family. One major focus at WID that caught my attention was how climate change affects people with disabilities, which varies in different aspects due to different geo-political zones; also, the issues involving climate change in terms of different strategies that can be adapted in different locations caught my attention. For example, in Nigeria, we discussed how planting trees impacts climate change, and there has also been some discussion around how people with disabilities may have to migrate when there are natural disasters. At WID during the fellowship, I had an opportunity to visit various organizations at the Ed Roberts campus, such as Through the Looking Glass, which gave me a reflection on bringing parents and families with children living with disabilities together to form a collective voice. Another aspect learned during my stay at WID is how research is necessary to know how effective disability laws are or not, what can be done through awareness and how policies are formulated. Talking to Neil Jacobson at WID gave me a broader idea of how to empower people living with disabilities. It gave me the understanding that when working with an NGO, we should not be afraid of putting on our thinking hats to make money for ourselves. Creating awareness through advocacy was also one of the issues discussed. Remembering the importance of evaluation after making the policies, which could be within 6 years to 1 year and continuous evaluation. Branding is one of the things I learned from Goldman; coming from a business background, I used to think branding is all about advertising a product in a specific way, but at Goldman, I realized there are various steps that make a good brand, such as being original, identifying your target market etc. This made me understand that advertising is the last medium when it comes to the branding process, and costs and benefits should be considered in this process, as well. I also gained a brief understanding about strategic planning, as well as equality in employment; this process makes organizations and co-workers understand that people are the same, despite things like their race, sexual orientation or disabilities, which helps promote equality.